Ueli Kipfer, born 30 December 1974, grew up in Emmental, Switzerland where, as a young child, he was fascinated with music. He accompanied his father to the concerts of the Brass Band Posaunenchor Langnau and was so impressed by the euphonium that he decided to learn to play this instrument. At the age of twelve, he started to take lessons with Hans Baumgartner, now a professional colleague. Ueli played in the cadet music Langnau, constantly developing his talent, and had his first success when he was 15 years old. After a short agricultural apprenticeship and military school (as a musician), he studied euphonium at the conservatory in Berne under James Gourlay until 1998. In June 2001 he was awarded the "Superior Certificate of Studies" with honours. At the "Institute Superiore Bandistico in Trento" (Italy), he took several solo euphonium special courses under the well-known euphonium soloist Steven Mead. Ueli won several first prizes at competitions, the most important was the first prize for Euphonium at the European Brass Solo Championships in Montreux (2001). Today, Ueli Kipfer performs regularly in Switzerland and other countries. In addition to solo-recitals with piano, Ueli often performs as guest solist with Symphonic Wind Orchestras, Brass Bands and chamber orchestras or at festivals. As conductor of the Posaunenchor Langnau (Brass Band), Ueli taught the band's own young musicians. After finishing his studies at the conservatory in Berne (see curriculum vitae), Ueli Kipfer was engaged by three music schools as a teacher for euphonium, tenor horn (althorn) and tuba. Ueli is motivated to pass on his know-how to his students. One aim of his work is to familiarize the general public with the more recently established euphonium and to motivate more youngsters to learn this less unknown, but very fascinating and, in wind music, important instrument. Several engagements as adjudicator at solo- and ensemble competitions. At the tender age of seventeen Ueli Kipfer became conductor of the Posaunenchor Langnau (Brass Band), when the former conductor resigned. The young man apparently had talent and he enjoyed conducting. Ueli trained later: At first he took private lessons in orchestra conducting by Christian Henking in Berne and then he studied and completed (1999) wind band conducting with Hans Peter Blaser at the conservatory in Berne. 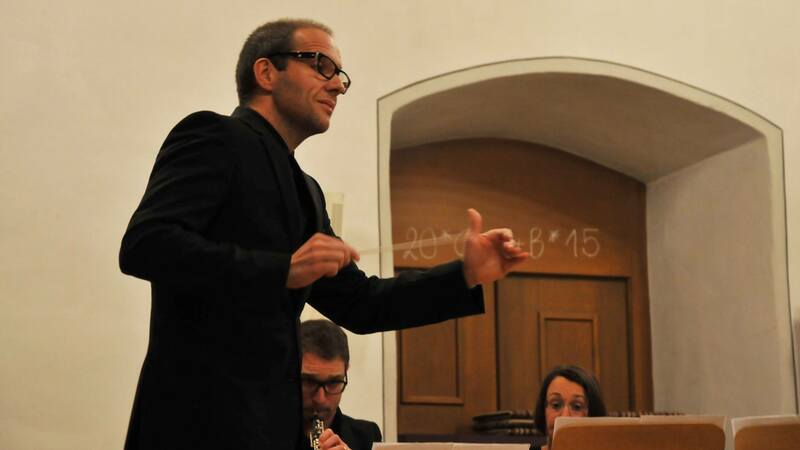 Since 1992 Ueli Kipfer conducted Wind Bands and Brass Bands of all Levels.Ueli Kipfer is since Summer 2013 Conductor of the Brass Band Oberschwaben-Allgäu in Germany.